Up Top Acres is reimagining what a farm looks like. 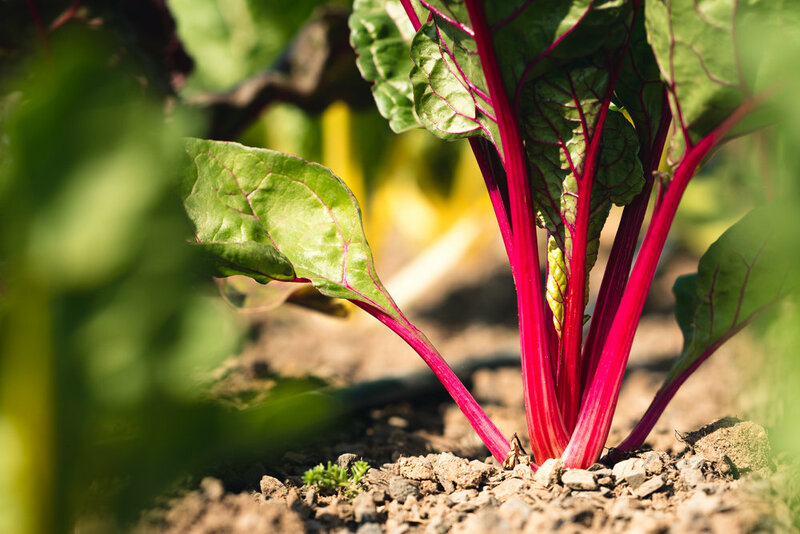 We grow food on roofs — converting neglected spaces into viable sources of income and environmental safeguards. We create spaces for communities to interact with and learn about food, in order to establish agriculture as a fixture of city life. And they have two farms literally a block from my apartment. I couldn't have been more ecstatic to read the news. I immediately sent an email to their staff and asked if we could meet to discuss the stories and emotions that surround food production, visual storytelling through photography, and life in the District, in general. I spent my morning at their 55 M St SE farm, right next to Nats Stadium, talking with Kathleen O'Keefe, their Director of Events, about the crops they're growing: salad greens, herbs, root veggies, tomatoes, melons, and eggplant, to name a few. 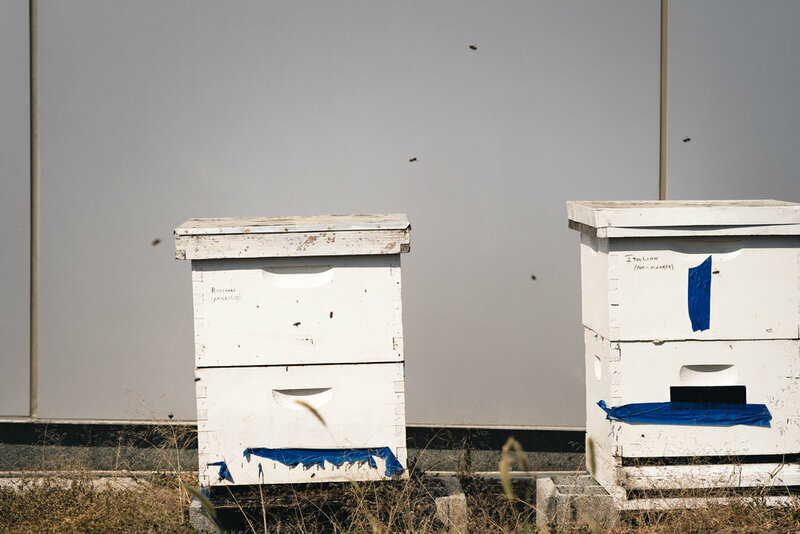 They've also got two beehives with honey production on the way soon. 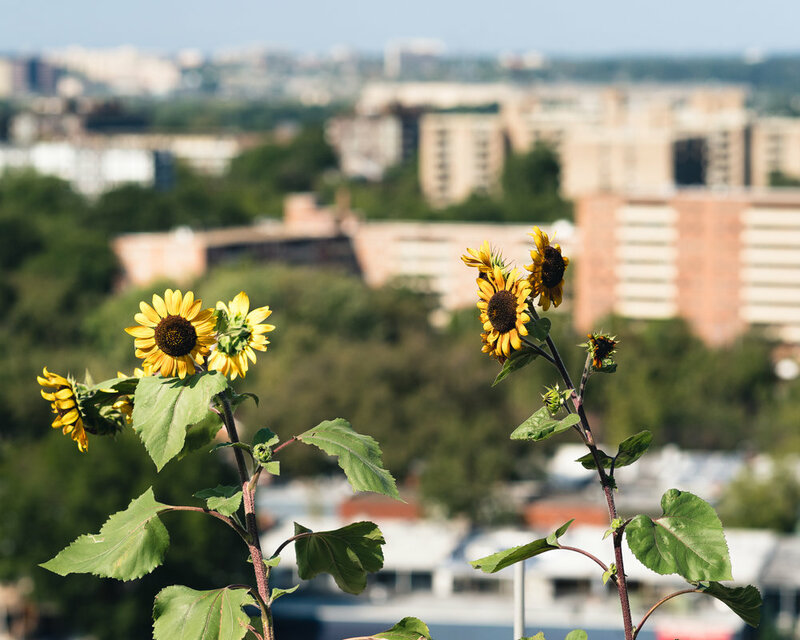 Their long-term goal is to put a farm on almost every rooftop in the District and I've never been more hopeful of success for anyone before. The view from Up Top Acres' 55 M St SE farm. I bet you had no idea there were TWO farms directly adjacent to Nats Stadium.